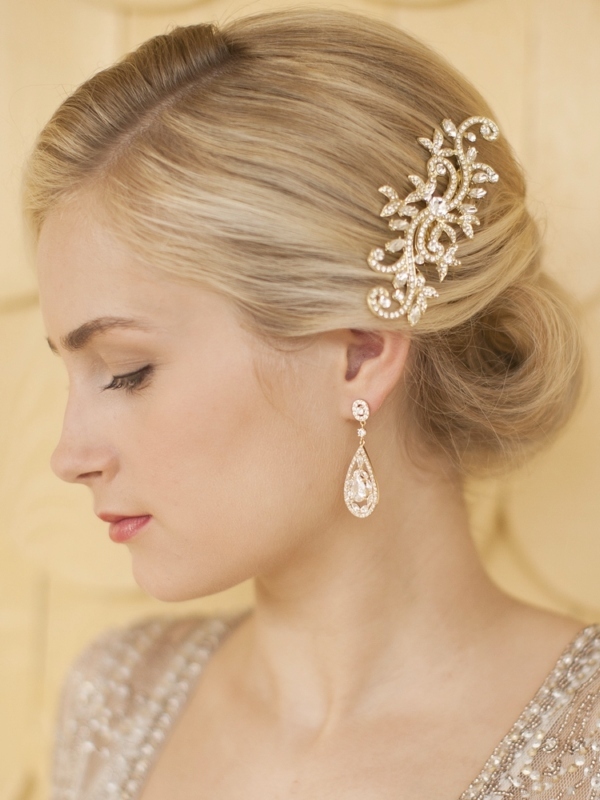 * Mariell's popular Gold Bridal Hair Comb is 4" w x 2 1/4" h with Pave Crystal Vines. 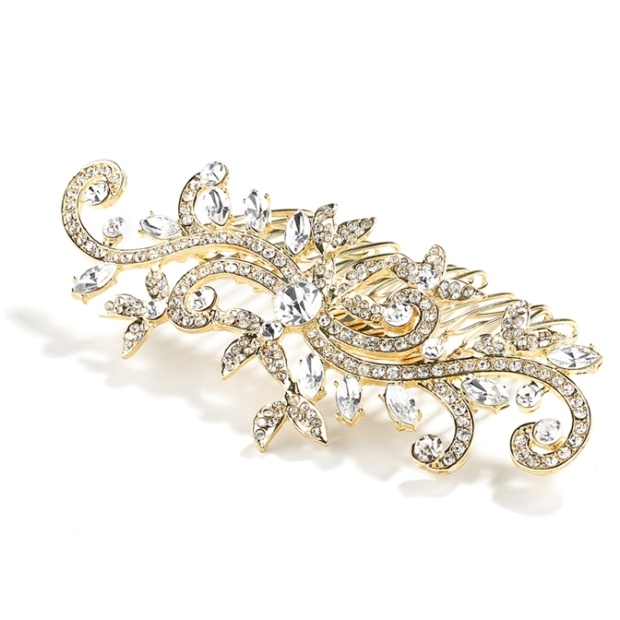 * Mariell's dazzling crystal wedding or prom comb in rich Gold plating is the latest in gorgeous headpieces that are truly "jewelry for the hair"! 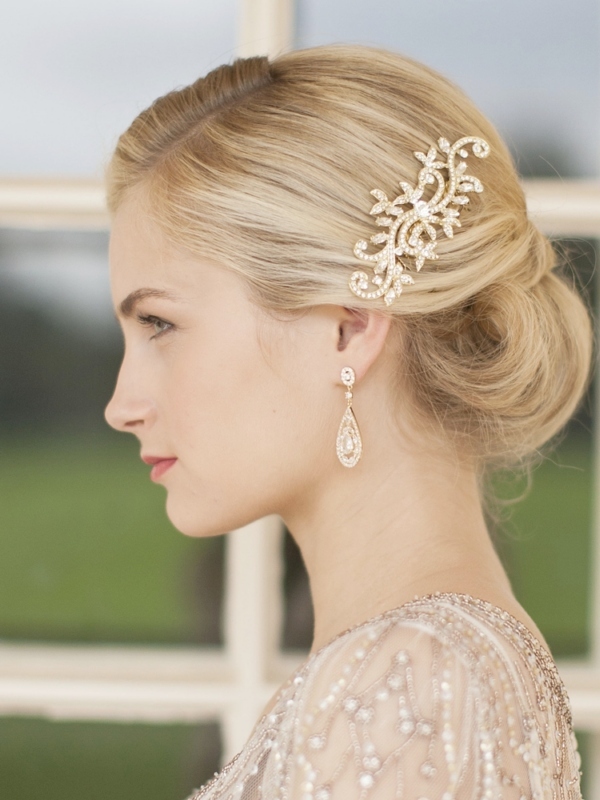 * This golden hair comb gives your customers a glamorous headpiece at an exceptionally affordable wholesale price! * We also offer this comb in Antique Silver Rhodium as style 4027HC-S.